Unquestionably one of the most-visited regions of Italy, Tuscany’s popularity owes much to its art-filled cities and lyrical landscapes of medieval hilltop villages amidst golden wheat fields and perfectly aligned vineyards. However, wander slightly off the beaten track, and you will find mountain ranges and forested slopes, ski resorts, hideaway islands and, to the south west of the region, the rugged beaches of the Maremma coast. Originally the homeland of the Etruscans, the region has been ruled by many, from the Romans to Napoleon. The British, who included the region in their ‘Grand Tour’ in the 19th century, have also left their mark and in more recent years, Tuscany was dubbed ‘Chiantishire’ for its reputation for attracting British visitors in the 70’s and 80’s. Fortunately, the region is more than big enough for visitors to escape to its less well-known corners and areas such as the Mugello and the Lunigiana remain delightfully untouched by mainstream tourism. There are multiple hiking routes through the region’s three national parks. 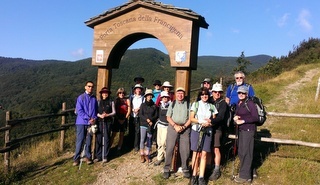 The Medieval pilgrimage route the Via Francigena, touches the Lunigiana region, also Central and Southern Tuscany. The Tuscan archipelago of seven islands, including Elba, is one of Italy’s best-kept secrets, offering some of the clearest water in the country and some stunning hiking trails. Home to some of Italy’s top appellations, wine-tasting in Tuscany is an immersive experience, as much about the region’s history, food and landscapes as the wine. Wine and olive oil are both king throughout Tuscany, but towns and cities have their own local and seasonal specialities. In Florence, the best Tuscan olive oils are drizzled over warm food and fettunta – a toasted slice of Tuscan bread, rubbed with garlic and sprinkled with oil – is a traditional way to start the meal. 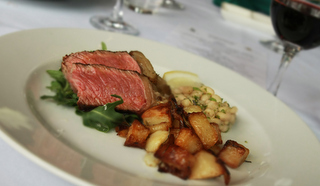 The cuisine is still closely linked to agriculture, resulting in filling dishes such as ribollita, or bean soup, and crostini with a vegetable or meat-based topping. Pappardelle served with a rich meaty sauce made from hare or boar and panzanella, a cold salad of bread and tomatoes, with onions and basil, are also common. Seasonal food includes specialities like castagnaccio (chestnut cake) in the autumn. Links with ancient traditions produce dishes such as potato tortelli, served with a hearty ragù, in the Mugello, once the Medici’s hunting ground. Other local specialities include pecorino from the pretty Renaissance town of Pienza and the dried fruit and nut-based panforte from Siena. make DOP status salami. Finish your meals as the Tuscans do, with some classic hard almond cantucci dipped in vin santo to soften them. It is hard to put a foot wrong in Tuscany when it comes to wines although the choice can be slightly bewildering. 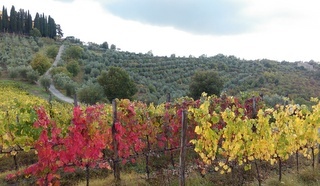 While Chianti is produced throughout central Tuscany, Chianti Classico comes from the hills between Florence and Siena. Other respected wines include Vino Nobile di Montepulciano and Vernaccia di San Gimignano while Brunello di Montalcino is still one of Italy’s more expensive red wines. For those interested in keeping abreast of new developments in the wine world, the region of Bolgheri in western Tuscany, which produces some of the most illustrious Super Tuscans, has DOC status and a fast-growing reputation. This is classic ‘child in a candy store’ territory. Tuscany is crammed full of magnificent towns and cities packed with art treasures and architectural jewels, but it is a shame to miss some of the region’s out-of-the-way villages. Florence is the regional capital and needs little introduction. 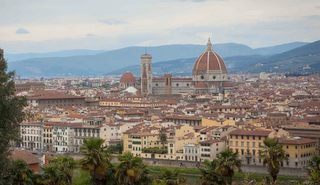 The main sights of the Duomo, the Campanile and Uffizi are, literally, unmissable, but our advice is to head over one of the quieter bridges and explore the streets on the Oltrarno, or left bank of the city. For some, Siena is the more appealing city, slightly quieter than Florence and proud owner of Europe’s finest medieval square, the site of the Palio in July and August. In Lucca, narrow streets overlooked by beautiful churches and palazzi link small elegant piazzas. Not too far from Lucca, Barga is an ancient village, with narrow cobbled streets and a beautiful Duomo, in the heart of the rural Garfagnana. Arezzo, Pistoia and Pisa all have an attractive centro storico, each with its own art highlights. San Gimignano, with its magnificent 13th and 14th century towers, provides a wonderful insight into the warring behaviour of the Guelphs and Ghibellines but be prepared for crowds! Other hill towns include Cortona and the mainly traffic-free town of Volterra which has magnificent Etruscan architecture and countryside views. To the south of Siena, the trio of Montalcino, Pienza and Montepulciano are surrounded by some of Tuscany’s most exquisite landscapes. Wine-tasting is a big attraction but the 12th century abbey of Sant’Antimo near Montalcino is as big a draw for its Gregorian Chants. For wine-lovers, make for the wine towns of Greve, Panzano and Radda in Chianti and head off track to charming walled villages such as Volpaia. With around 250 miles of coastline, beaches in Tuscany are plentiful and varied. 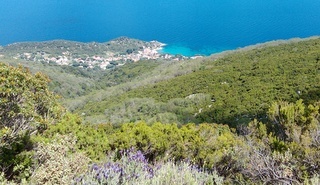 The island of Elba has its fair share of hideaway coves and transparent water. Back on the mainland, the coastal towns of Viareggio and uber-chic Forte dei Marmi boast mile upon mile of fiercely regimented sun beds on private beaches. Up in the hills above the coastal town of Marina di Pietrasanta, the main piazza in arty Pietrasanta is a lovely place for an aperitivo and dinner. To the south of the region, the Maremma is far more relaxed, with white sand beaches backed by pine forests and rosemary-scented scrubland. For walkers, the Parco Regionale della Maremma stretches along 20km of coast, punctuated by watchtowers overlooking secluded coves. Amongst the region’s many sagre, several key festivals dominate the calendar. 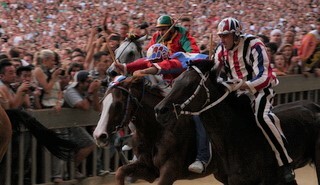 Leading the pack is Siena’s Palio, one of Italy’s most popular and historic events and the highlight of our Siena tour. Other festivals in Tuscany include Viareggio’s carnival (February), the Giostra del Saracino in Arezzo (June and September) and Lo Scoppio del Carro at Easter in Florence. For anyone who enjoys visiting historic houses and gardens, Villa Reale at Marlia, Villa Torrigiani and Villa Mansi in the hills outside Lucca are well worth a visit and generally crowd-free. The Puccini Festival at Torre del Lago is a must for music lovers in the area in July and August. The Festival is held on the shores of Lake Massaciuccoli near Lucca. Weary legs? The region is rich in thermal springs and spas. Montecatini Terme is probably Italy’s leading spa town but there are also spas, thermal pools and hot springs at Chianciano, Saturnia and Petriolo. The region’s literary connections are impressive. Tuscany was home to three of Italy’s greatest writers, Dante, Petrarch and Boccaccio and the region has attracted numerous foreign writers, including Chaucer, DH Lawrence and Henry James, over the centuries. The Valle d’Inferno in the remote Mugello region is said to have inspired Dante when writing the Inferno. You can explore different areas of Tuscany on five of our tours: Parma, Tuscany and the Ligurian Sea, Lucca, Volterra and the Island of Elba, A Tuscan Harvest, The Palio of Siena and Northern Tuscany and Ravenna. Due to the size of Tuscany, we are only able to cover a part of the region on each tour but would strongly recommend extending your holiday to explore the region further, either on a consecutive tour or independently. Tuscany has two international airports, the Galileo Galilei International airport in Pisa and Amerigo Vespucci airport (or Peretola) in Florence. The region can also be easily accessed from international airports in Milan, Bologna and Rome. For more information about Tuscany, visit the Tuscan Tourist Board.